Kelley and Nicole Fries love movies so much they’ve dedicated their lives to them. The sisters are the organizers of the Calabasas Film Festival, which began its fourth season yesterday. Their father, Joe Fries, is a film producer who dismissed the idea of a local film festival in 2014 when it was presented to him by then-mayor of Calabasas David Shapiro. The city has an on-off history with film festivals. The Method Fest Independent Film Festival was canceled in 2011 due to declining sponsorships. That festival, which came to Calabasas in 2005, spotlighted American and foreign independent films. 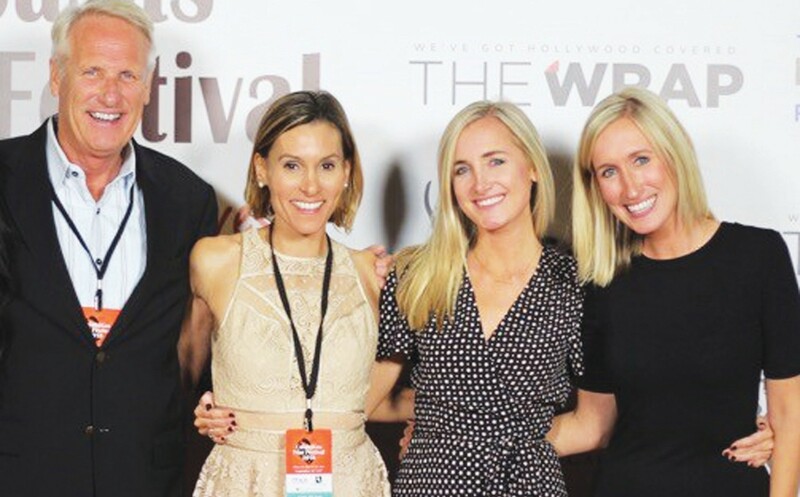 In the years since then, the festival has grown from three days to five and expanded to 35 films played at three venues: Edward’s Cinema in the Calabasas Commons, Viewpoint School and the Motion Picture Television Fund campus. Even as it’s grown, the festival has stayed a family affair. The Fries sisters organize the event, but when the time comes they pull in their younger brother to take tickets and their mother to help check people in. They joke about getting their extended family to fly in and assist when the festival gets big enough. Unlike similar events, the Calabasas Film Festival is not primarily a competition. Kelley Fries calls it “a celebration of film.” They don’t premiere new movies; rather, the sisters use the event as a vehicle to promote worthwhile projects and gain publicity. They scout out potential movies at other festivals and attract submissions through their industry contacts. The festival also features a student film competition. The sisters visit local high schools looking for top material. This year’s competition will be judged by members of the L.A. Film School, which is cosponsoring the event. Films will be judged in five categories, and winners will receive over $30,000 in scholarships, as well as studio shooting time. Other sponsors include the Los Angeles Rams, O’Gara Coach auto dealers and AmaWaterways River Cruises. Kelley Fries said she and her sister allow themselves one day to relax once the festival ends, but after that it’s time to start organizing the next one.